His body may not distort or tell him he needs to eat some crazy food combo that even you raised an eyebrow at when it first popped in your head, but your partner in this life long venture became a parent at the moment conception occurred, too. Keeping him involved from day one is going to strengthen the unbreakable bond between father and child as sure as the bond between mother and child grows stronger as your baby grows inside you. 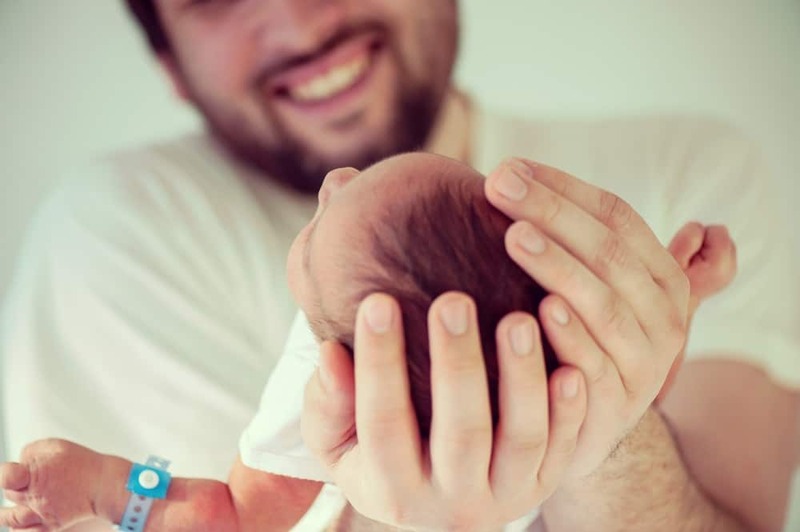 The Bump had some great ways to get dad feeling fatherly long before the due date and beyond. When you share the news, include him. Whether it’s having him at your side when you video chat with family and friends or tagging him when you make it social media official, bask in the glow of spreading the joyful news together. Make sure he’s aware of OB appointments. He may not attend every appointment with you, but invite him along! Hearing the heartbeat is a thrill he should experience. Also, put the ultrasound visits on his calendar so he knows, for sure, you want him there with you. Time for guy time! About the time your friends are throwing you a baby shower, have some of his friends host an all guy event of his choice. He can register for gifts, too. Yes, some of his choices might be a bit out there, but give him the thrill of the hunt, woman! About the nursery… Incorporate some of his decorating ideas! And after the baby arrives share your wisdom (But don’t get bossy!) and encourage him to get hands on training. You know that uncomfortable feeling you get when someone is right there looking over your shoulder when you are trying to learn something new? Don’t do that! Trust me, he will let you know if he needs help! Make a date or two with friends. Although finding time for the two of you to get a break together is important, you should give Dad plenty of one-on-one time to handle things totally on his own. Pretty good tips, right? Showing him you trust his judgement from day one will allow him to show you, he’s got this, Mama! ?